Gauntlet, once again, has taken part in the YouthBike competition. This is the 5th year we have entered and once again we have come up trumps! 3 teams entered and between them they won 7 prizes. 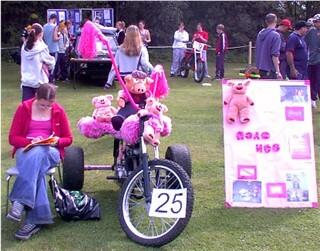 This is the Road Hog, a 3 wheeler created by the girl's team. 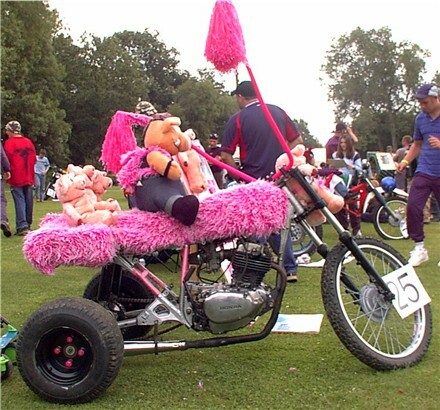 The chassis is a modified Suzuki SP 200 frame fitted with a Honda 250cc engine, lots of pink trimming and 5 pigs! 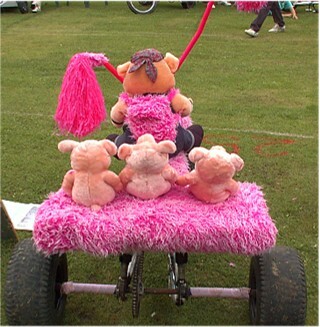 Road Hog won Public's Choice Best in Show and Best Girl's Team. 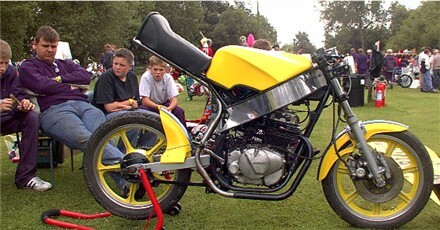 and GPZ 600R tank and forks. This year Project Street won Best Portfolio, the Motorcycle Action Group prize and the Shim Whittlers Choice award. The Mean Mean Recycling Project is the creation of our newest team and is a Honda Melody decorated with recyclable items. 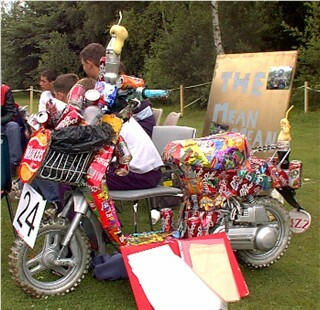 This machine won Best Decorated Bike and Most Zaney Bike runner up.